Richard B. Trauger, Jr. - The Kafafian Group, Inc.
Home > Team > Richard B. Trauger, Jr.
Rich has been affiliated with TKG in various capacities since inception and is also a shareholder. He participates in all facets of our service lines and is primarily responsible for strategic planning, customer statistical analysis and visualization, capital planning and stress testing, financial analytics and modeling, and is a member of our financial advisory services team. He has led over 100 client engagements for financial services industry firms and has extensive experience with boards of directors and executive management teams. During his career Rich has successfully completed over three dozen merger and acquisition, capital market, and financial advisory assignments for financial institutions, with an aggregate transaction value of approximately $2.6 billion. 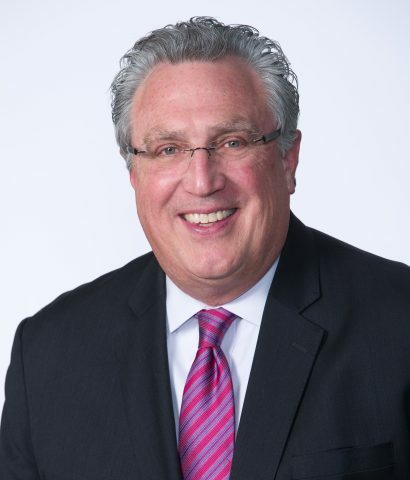 During his 30-year financial services industry career, Rich has developed his skill set, first as a financial analyst with Dauphin Deposit Corporation (now M&T Bank Corporation) and then as an investment banker with Tucker Anthony Sutro Capital Markets (now RBC Capital Markets). In addition to client facing assignments, Rich has been a subject matter expert for SNL Financial, L.C. (now S&P Global Market Intelligence) on the topic of advanced bank valuation. He has also served as an expert witness for matters involving financial services industry firms. He is a faculty member at the American Bankers Association Stonier Graduate School of Banking, the Pennsylvania Bankers Association School of Banking and Advanced School of Banking and is an occasional speaker at industry events. Rich holds an undergraduate degree from Penn State University (Harrisburg) and the license of Certified Public Accountant in the Commonwealth of Pennsylvania, along with the following other professional designations: Chartered Global Management Accountant (CGMA®), Certified Valuation Analyst (CVA®), CERTIFIED FINANCIAL PLANNERTM (CFP®), and Chartered Financial Consultant (ChFC®). He continues to pursue additional levels of education and is eligible to sit for the Level III exam as administered by the CFA Institute. He is a practitioner member of the National Association of Certified Valuators and Analysts (NACVA), and a member of the CFA Institute, the CFA Society of Philadelphia, the AICPA and the PICPA. Read what Rich has written or where he's been mentioned. The Lawnmower Man: Your New Virtual Assistant? Hear podcasts where Rich has offered his insight.